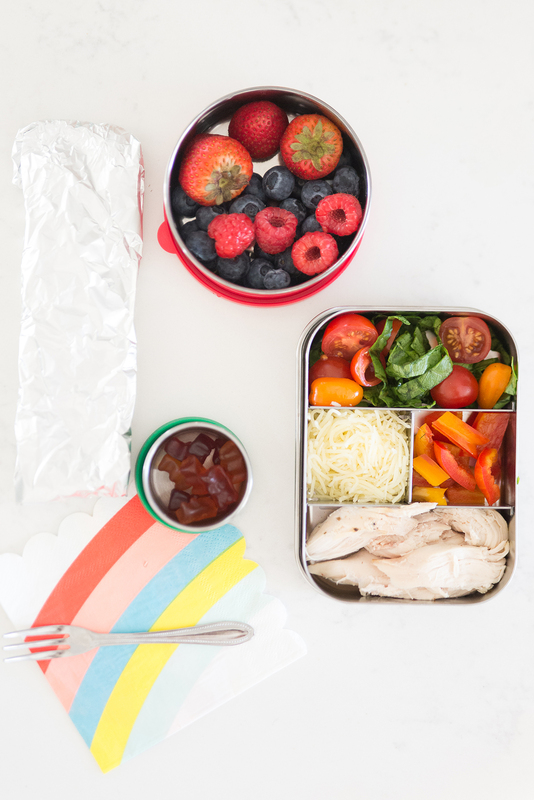 Another school year is here, and therefore another year of trudging our way through making school lunches every day. 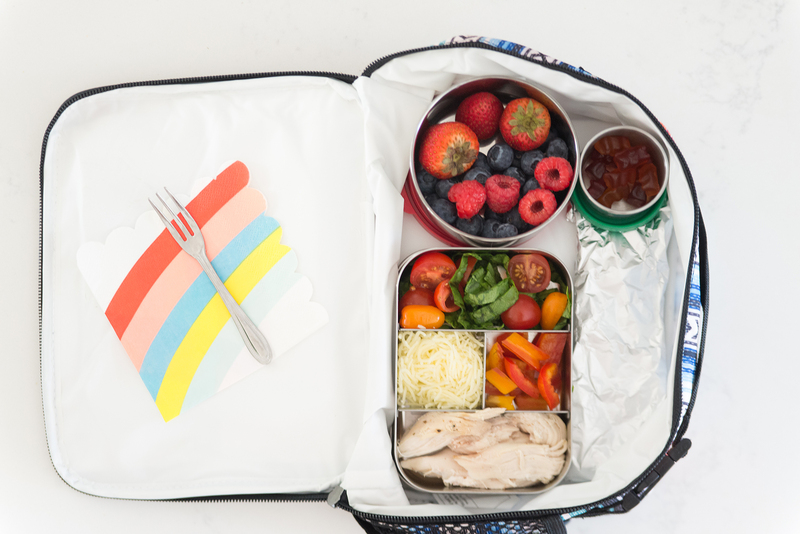 Believe me, by the end of each school year I am limping my way through the finish line and totally phoning it in when it comes to making lunches, but I have developed some simple guidelines for myself that make the drudgery of packing lunches a little less painful & a bit more enjoyable. I’m sharing my tips below, and hope you find some of them useful. The youngest and the oldest on average take lunch 3 days a week and buy the other 2 days, and my middle child is continuing his 7 year winning streak of never ever buying school lunch. He had a meltdown yesterday when we told him today was the day to buy because we didn’t have time to put together a lunch, and he was so perturbed by the prospect of standing in the lunch line and eating food not to his liking, he figured it out and made his own. Fine by me, just as long as he pushes himself a little more towards self-sufficiency. What do I mean by this? Well, when making lunches, I try not to get too stuck in rules and systems that may cause us all a little grief at one time or another. 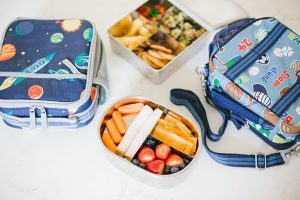 For example, rules that say each kid has to pack their own lunch every day with no regard to the day’s activity/homework level, or a rule that insists that despite individual tastes and preferences, each kid gets the same identical lunch each day. 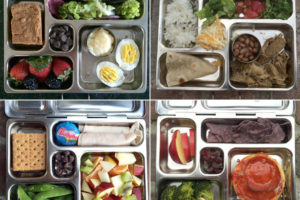 I view the school lunch period as probably the most important part of the day for my kiddos. It’s an opportunity to recharge their bodies, minds and spirits after being stuck in a classroom for about 4 hours, and I want them to look forward to what’s packed in that little square box. I’m also not there to nudge them to “eat all their broccoli” or make sure they have a chance to finish everything (the lunch period in our district is so short), that by me doing the packing, I can make sure it’s balanced, an appropriate amount of food, and that it’s somewhat tailored to what they’ll eat all on their own, so as little food is wasted as possible. Notice I said “somewhat tailored” – more on that below. 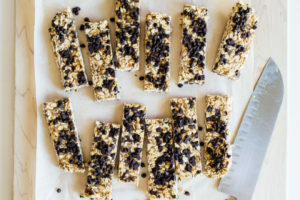 Protein options are almost endless, but our favorite and easiest choices that hold up well in the lunch box for 4 hours include: sandwich meats, especially salami, hard boiled eggs, yogurt, nut butters, trail mixes, shredded chicken, beef or turkey jerky, and leftover protein from dinner the night before, usually packed in a thermos. 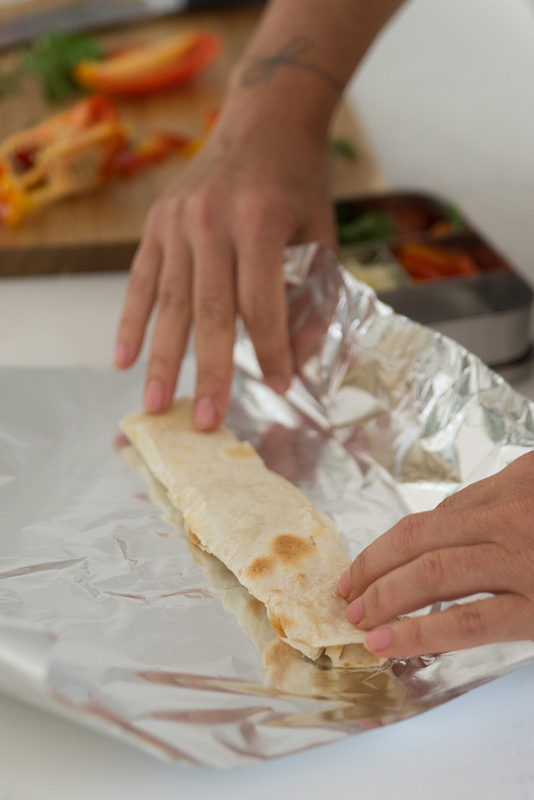 Carb options are the easiest to pack and choose because they’re the kids favorite, but I usually limit options to the following: warmed and foil-wrapped tortilla, rice cake, Hawaiian roll, good old sandwich bread, tortilla chips, and just about any kind of cracker. They also enjoy mac ‘n cheese or warm buttered noodles packed in a thermos. 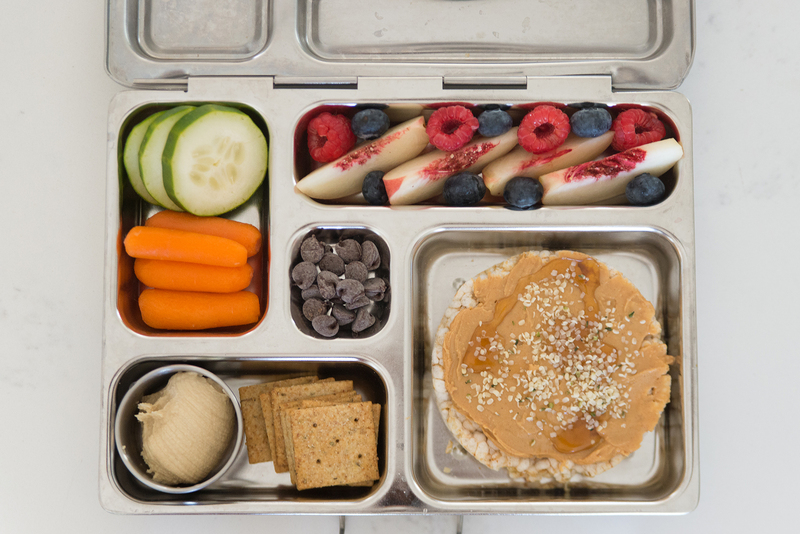 Fruit & Veggies are surprisingly the trickiest part of packing lunches each day. When it comes to produce, this is where my kids are the most selective. Taylor will eat almost any veggie, especially if it’s tossed in a salad. Syd and Hayden will certainly try and eat other veggies when at home and we gently nudge, but on their own they’ll only ever eat carrots, sugar snap peas and celery. Taylor and Syd will eat any fruit God has put on this green Earth, but Hayden will only let his lips touch apple slices or watermelon. Gorgeous berries will go to waste, and forget about even suggesting a peach or nectarine go near his lunch box. What kind of kid doesn’t like a peach?!? 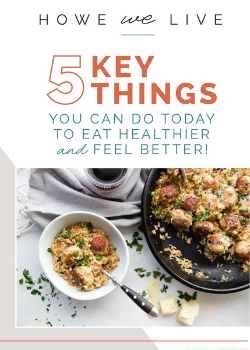 So because of this, I make sure to always have a bag of baby carrots (no, they’re not soaked in bleach and they’re not genetically modified), and sugar snap peas on hand, as well as plenty of apples! 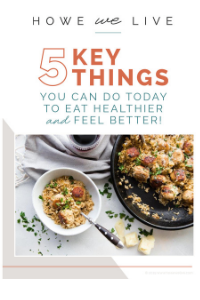 This is pretty much the same rule we have for every other meal eaten at home, and that is some food options can be subbed out or altered or even deconstructed a bit, but a whole dang different meal can’t be thrown together for each kid. So Taylor and Hayden will eat turkey sandwiches, while Syd won’t actually eat an assembled sandwich, but will eat the ingredients separately. Therefore it’s really no sweat off my back to make a sandwich for 2 kids and leave the sandwich meat and bread separated for the other kid. 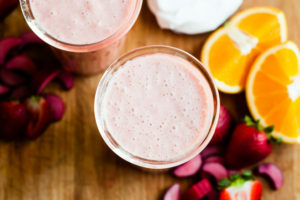 I mean, I feel like this is pretty common sense parenting survival skills, but you mention things like this to some people and they immediately scream, “They’ll eat what I make them or they don’t eat!” and between you and me I think that’s just silly and an unnecessary use of parental power. But to each their own. Hayden will only eat apples or watermelon, while my other 2 will eat any piece of fruit I throw their way. Does this mean the other 2 should suffer through apples every day for the 13 years I pack their school lunches? Or should I include the expensive berries in Hayden’s lunch because gosh darn it if he tries it 10 times, I just know he’ll eventually like berries? No, and no. So I cut up half an apple each day for Hayden, make my husband eat the other half, and pack my more adventurous fruit eaters something they’ll enjoy and appreciate, and call it a day. I tend to think of school lunches as a 4 piece puzzle. Or Garanimals. 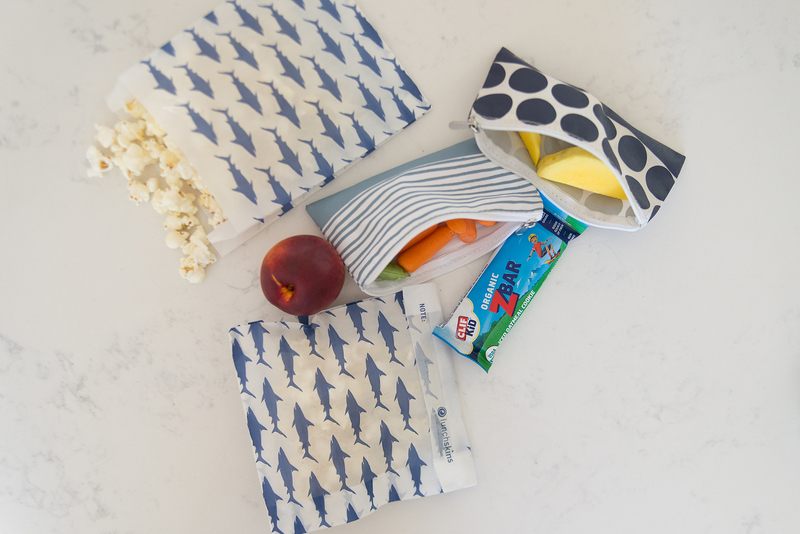 This makes grocery shopping and lunch packing a lot easier. At the start of each week I just make sure I have a couple of options from the 4 categories I mentioned above, and I know I’m good to go. I don’t try to pack something unique and different every day; some days the kids will go 3-4 days with the same exact lunch. I pack based off what we have a lot of, what was on sale and/or what produce is in season. I skip the bento box styling efforts of cutting foods out in shapes, but do include a cute toothpick or napkin if I think about it. 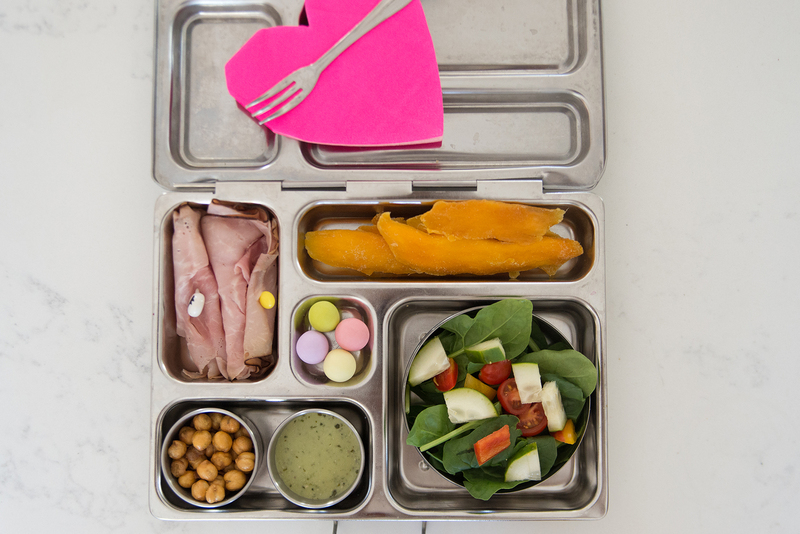 And overall my kids end up eating a lot of the same lunches day in and day out, week after week, and despite what we grown ups think of this, they don’t at all get bored but usually welcome the comforting predictability. It makes for less interesting Instagram shots, but seeing an empty lunch box at the end of the day more than makes up for my lack of bento box picture content. 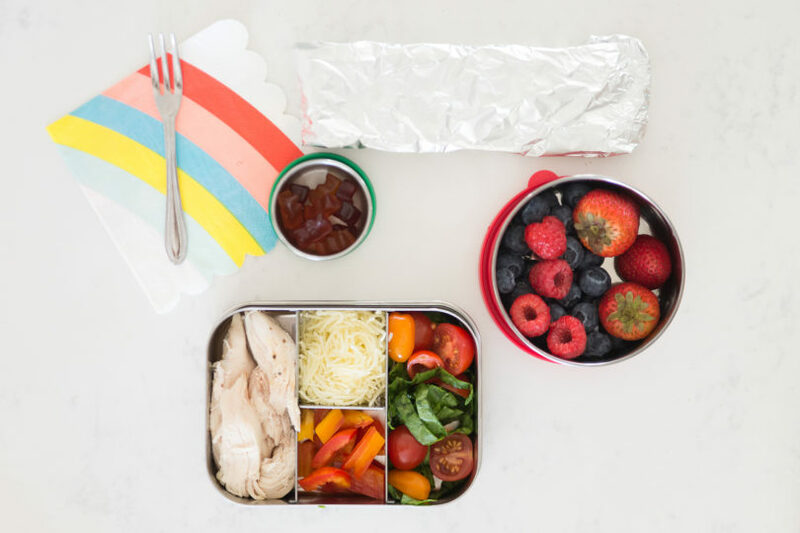 You may have noticed we have a few new lunch packing accessories around these parts. 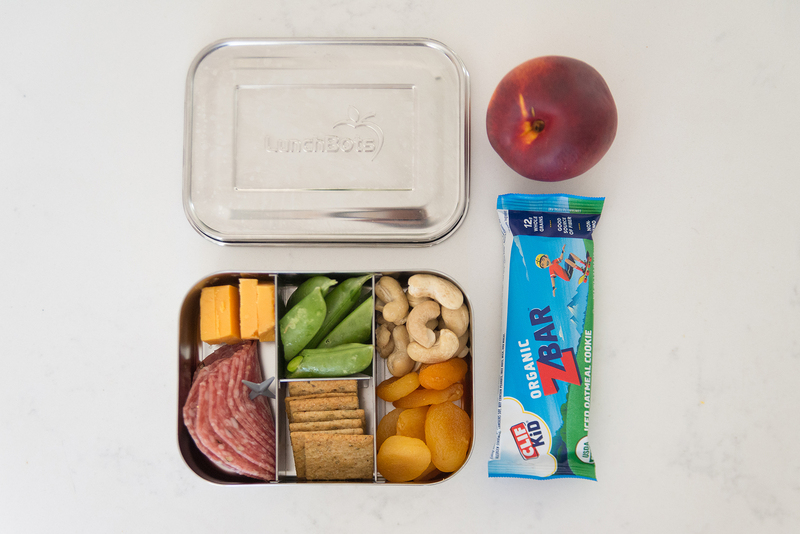 If you’ve been following my lunch posts for awhile, you know that I’ve been a long time fan of the Planetbox, and I’ve written plenty of blog posts about their lunch box systems. This year though, Taylor, who is in 8th grade, requested a whole new system, and specifically wanted the freezable PackIt lunch carrier. She had been complaining since 7th grade that her lunch was always hot by the time she went to eat it, and so these new pails keep the lunches cooler for longer (the entire thing is insulated and surrounded in an ice pack). When she moved to middle school, I hadn’t taken into consideration that with a later school start time and lunch time (lunches were now being eaten 6 hours after being packed as opposed to 4) as well as lunches being stuck in hot lockers that whole time, they’d need a different system. So both middle schoolers have this new system and Hayden took over Syd’s old Planetbox. Because the Planetbox doesn’t fit in these new lunch carriers, I got Taylor and Syd each a LunchBots set because I wanted them to continue using stainless, but because they’re on the smaller size and each area isn’t leakproof, I also got a few new stainless lidded containers that work great and were the most competitively priced on Amazon. 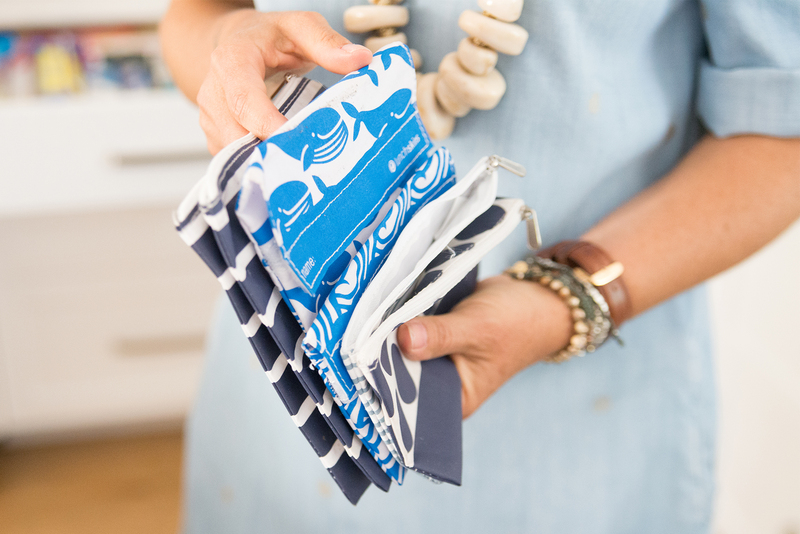 I’ve been using the LunchSkins zippered and velcro pouches for random snacks for over a year now and we really love them. The kids like the different prints and how easy they are to open and close, and I love how easy they are to clean out, and how resistant they are to staining. 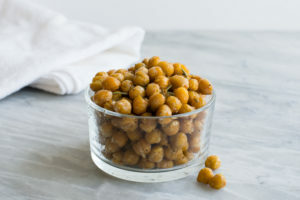 They also hold just about anything, although I don’t recommend putting delicate fruits in there like berries or stone fruit, as those tend to break down over the course of a day and get watery & mushy in the pouches. When the company saw that I was already a fan of their reusable pouches, they sent me a box of their new biodegradable sealable paper sandwich bags and I have enjoyed them so much I will happily buy another box once these run out. 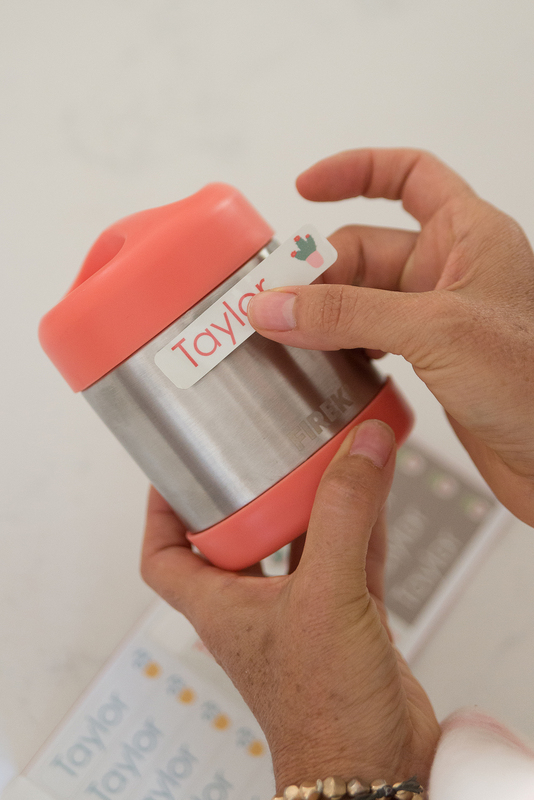 Taylor was in need of a new thermos, having outgrown her Hello Kitty one from Kindergarten (those things do last forever), so I found this well-reviewed Fireki container that was really well priced. It looks like it’s not currently available on Amazon, probably because it was so well priced and had great reviews, but I’m sure you can find it somewhere else. Other containers we have continued to get plenty of use out of and hold onto are silicone and paper cupcake liners. These are a must when kids who get weirded out when things touch are using Bento style containers. I’ll use them to separate fruits from veggies, crackers from cookies, salami from a roll. etc. Use paper if you want something cheap & tossable, and like changing them out with different patterns and colors, or use silicone if you want something sturdier and reusable. The newer Planetbox silicone lidded tins, known as the Little Dipper, are awesome too. The old style was a pain to open and often made a mess when little hands fumbled to pry them apart, but the new system they developed is awesome and I’m so happy I purchased a set awhile back. And of course like I said above, we still use one Planetbox for Hayden, and we held on to Taylor’s Planetbox in case we ever need another lunchbox option. Through the end of the August btw, all Planetbox items are on sale for 25% off. Fun toothpicks are a cute but unnecessary addition I’d suggest only buying if you’ve been packing Bento style lunches for a bit and know you’re committed to them long term. Otherwise, just use regular wooden toothpicks to hold some items together. 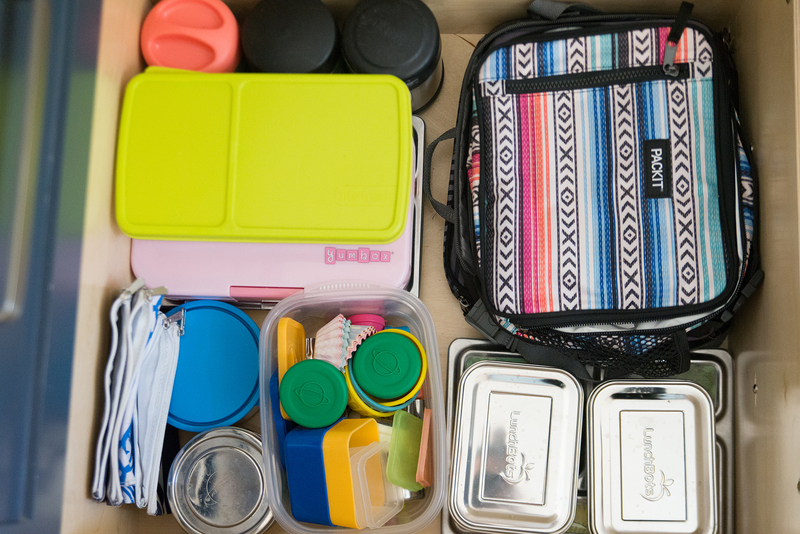 Reusable utensils are another great item to invest in if you’ve been packing for awhile and you can trust that your kid won’t toss them. Amazon has plenty of options, but I found a super cheap stainless set from Daiso. And lastly, you can use a good ol’ Sharpie to tag each of your kid’s lunch containers, but beware that Sharpie eventually rubs off of stainless, so I really like these bulletproof personalized stickers from Mabel’s Labels. And so that’s over 2000 words on packing school lunches, who knew I had so much to say?!? I sure hope this hasn’t been overwhelming at all haha! 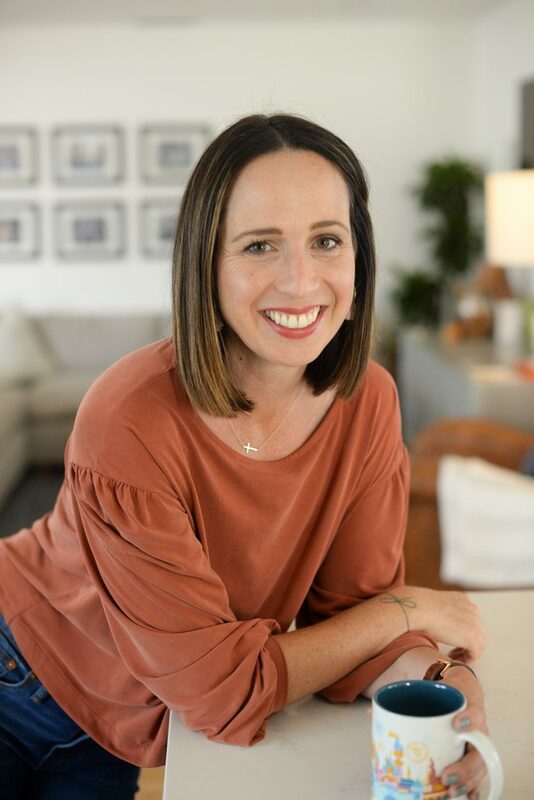 While I’ve tried to cover just about everything, I’m sure I’ve left some topics out so make sure to leave a comment or question below and I’ll do my best to answer or cover it in another blog post.